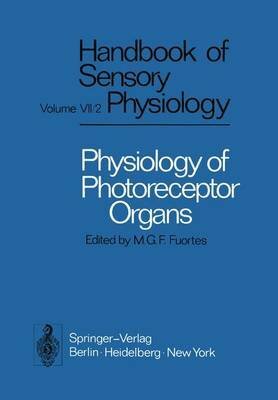 This volume is a collection of essays which attempts to summarize the recent progress in the field of photoreceptor and retinal physiology. Reflecting the way in which research is organized, each author reports on the studies performed with the techniques with which he is most familiar: morpholo- gical, chemical or physiological. The first chapters describe the structure of visual cells and the histological architecture of the retina. Next comes a summary of the laws governing photochemical reactions and a report on the biochemistry of photopigments. Four articles cover the optical properties of invertebrate eyes and the electrophysiology and the interactions of their photoreceptors. These are followed by a discussion of the properties of vertebrate eyes, including chapters on optics, on the electrical responses of rods and cones and on the functional organization of the retina. The final chapter provides an extensive review of retinal biochemistry and metabolism. Even though the experimental approach differs, all studies are directed toward the solution of two basic problems: transduction in the photoreceptors and orga- nization (often called "information processing") in the retina. The central problem of photoreceptor cells is to determine how light produces a response. We know that illumination evokes electrical changes and we have recently learned a great deal about the features of these changes. The evidence indicates however that elaborate processes must be interposed between the ab- sorption of photons by the pigment and the production of electric currents through the membrane. These intermediary cvents remain to be unraveled.